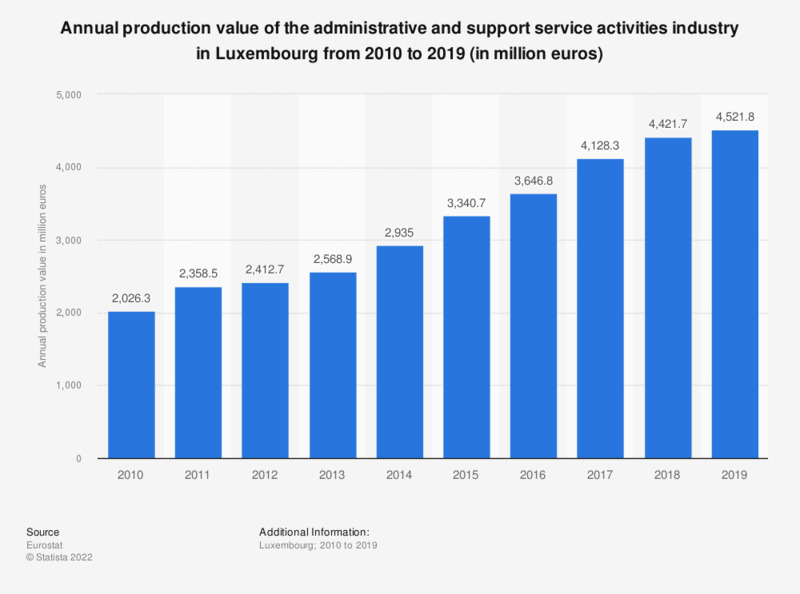 This statistic shows the production value of the administrative and support service activities industry in Luxembourg from 2008 to 2016. In 2016, the production value of the administrative and support service activities industry amounted to approximately 3.65 billion euros. Data coverage corresponds to code N of NACE Rev 2. Statistics on "Private equity in Benelux"